If you only have a small, light cover then one of these easy-to-use shelves or stands will be a cost-effective way to protect your hot tub cover from damage and dirt while you relax. Remove the cover without obscuring the view! Simply fold the cover in half and push it onto the sturdy aluminium bars, where it can rest without obstructing your view. Keeps your cover off the ground and protected from damage while you relax. The perfect, economical solution for keeping your cover close by and off the ground. 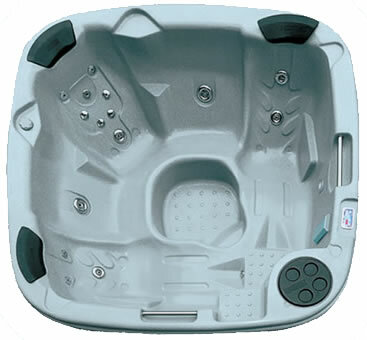 Install the arms low on the hot tub for an unobstructed view, or higher up for added privacy.